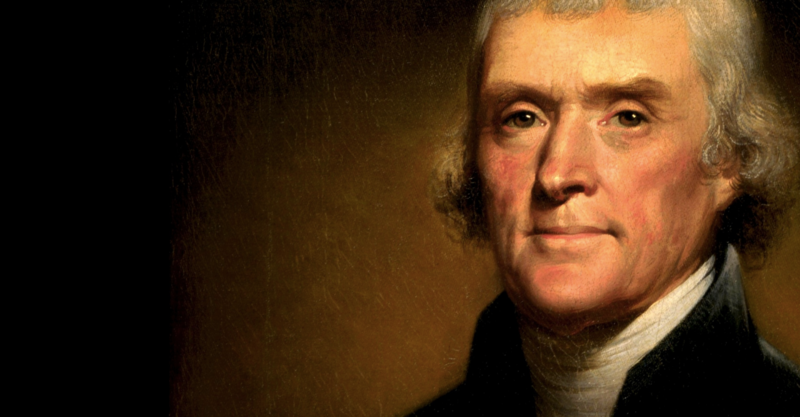 What would be any different today for President Thomas Jefferson if he came back to practice law? I’ve often thought that a movie about TJ coming back and saying “You did what?! ?” would be a great movie. Think of what we’ve done with his Louisiana Purchase, or changes to the Constitution, or the abolishment of slavery! He’d have some explaining to do on that one. It’d be fun to be the one giving him the history lesson. But in comparing law and medicine of his day, which has changed the most? In the criminal realm, there have been a lot of technological advancements in evidence. Fingerprints, photographs and DNA are new, but those really only go to identity. Identity has always been an issue in a trial. The Defendant has plenty of rights now, but those rights appear in line with what TJ would have expected as criminal law evolved. From my case reviews, defendants used to fare better against the government anyway, as distrust of authorities was even higher back then. TJ had 12 jurors in a jury box, judges, grand juries, bailiffs, hot/cold courtrooms and court reporters. There really isn’t much that has changed, including courthouses, some of which are furnished and air conditioned the same as they were in the 1700s. Now we do take forever to do an execution, and they were pretty quick about it back then, so that’s different. However an old lawyer, say one 274 years old, with a knack for persuasion would generally do just fine today I think. TJ was not a doctor, instead he had a disdain for doctors. He believed that the human body was a wonderful thing and could fight most illness just fine. Today, we would call that a holistic approach. He thought medicine was generally useless unless it could specifically be shown to assist the body in the healing process. He would probably side with the FDA and be against medicines without a proven track record. But what else has changed in medicine in 274 years? Wow! We have antibiotics, anesthesia, magic things like X-rays, CTs and MRIs, plus other diagnostic procedures that they didn’t even dream of. We have blood tests that pinpoint all kinds of maladies. We have incredible medicines and therapies that help us beat cancer. We have preventive vaccines that keep us from getting diseases that were often fatal back then. TJ did have himself, his wife and children inoculated for smallpox, so while we inoculate far more often now, it was not a foreign concept to him. We have hospitals that are generally clean and sterile, equipped with the best tools and doctors that money can buy, with the ability to consult with other medical experts the world over by telephone and video. We have prenatal care that saves countless babies and mothers every year. We have cataract and lasik surgeries for our eyes, but dentists still use pliers sometimes. I think ol’ TJ would be quite impressed by our health advancements. True, some doctors still use leeches for blood sucking, but medicine has improved overall. At one point, TJ went to Warm Springs, Virginia, for help with his rheumatism. Instead, he picked up a nasty infection where the sun don’t shine that gave him boils and sores. So a doctor urged him to take a concoction of mercury and sulfur which cured the infection but brought him to death’s door. He wrote that on “ceasing to use them I recovered immediately.” No kidding? Mercury and sulfur together? It’s amazing he lived another day. His last major illness was diarrhea, probably from prostate cancer, and for that he took opium which allowed him to resume his normal activities. We are still taking opium and its derivatives all these years later. It’s not the panacea that it once was thought to be, but it is widely used for pain relief. Next Beach Walk? Maybe. Is it low tide?